The proportions of this elegant brass wall light are well suited to larger rooms, particularly in this three light version. 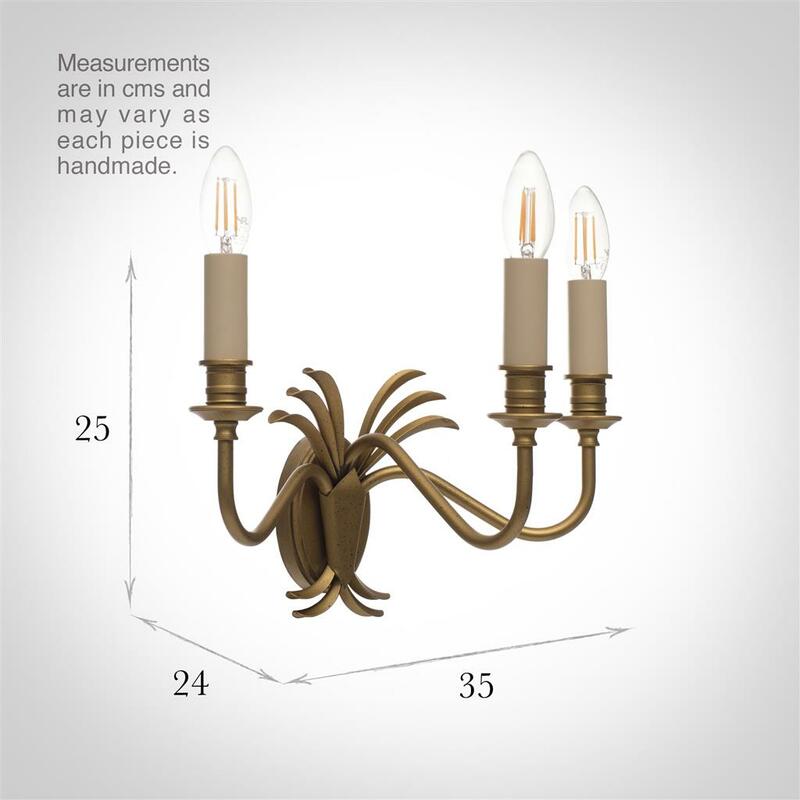 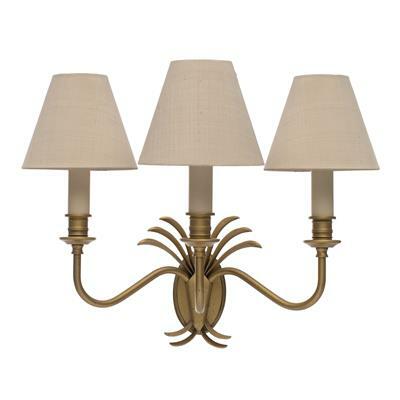 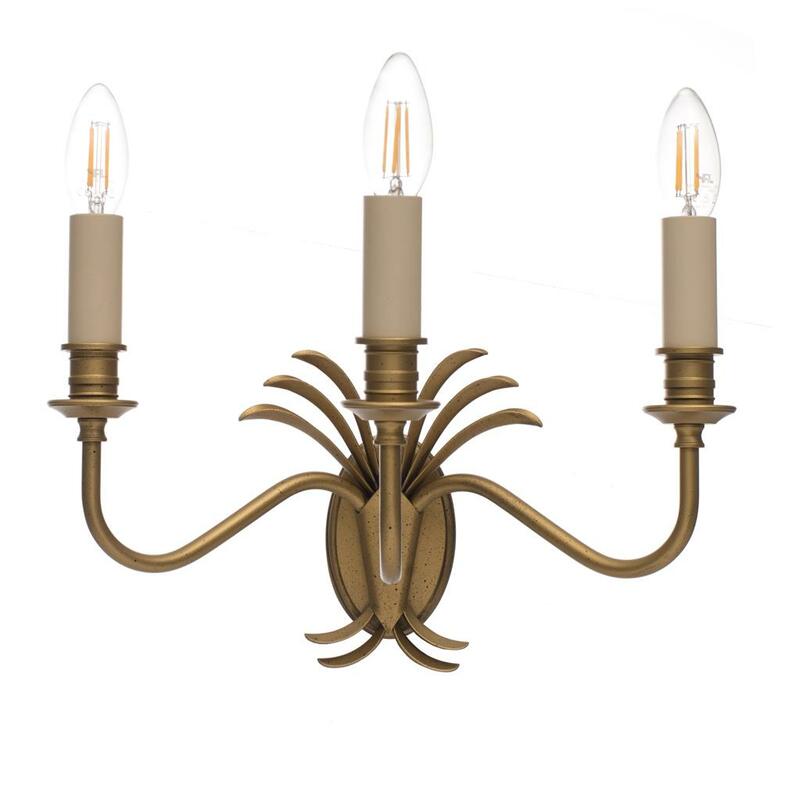 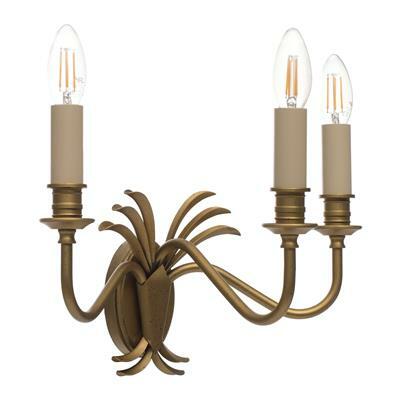 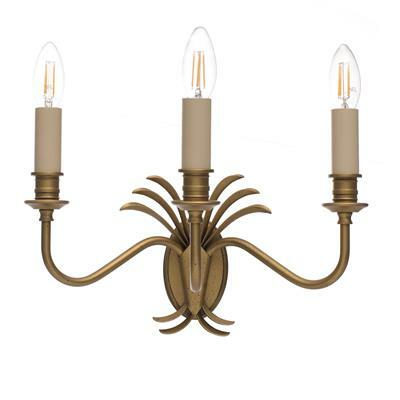 With its elegant fronds and old gold finish, it would look beautiful in a large hallway, dining room or bedroom. 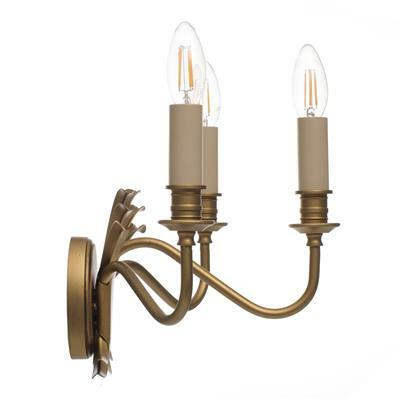 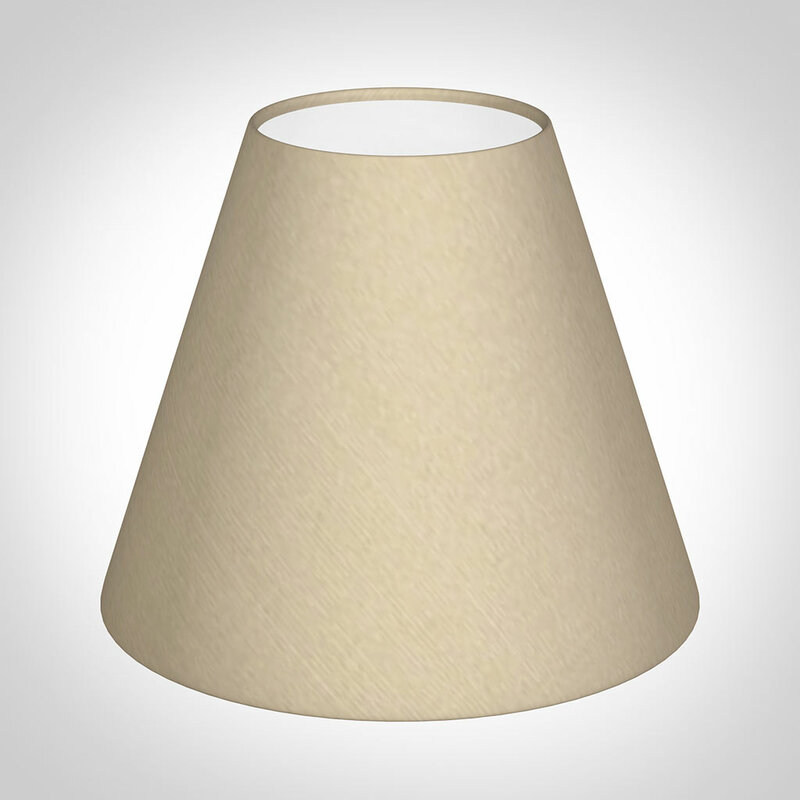 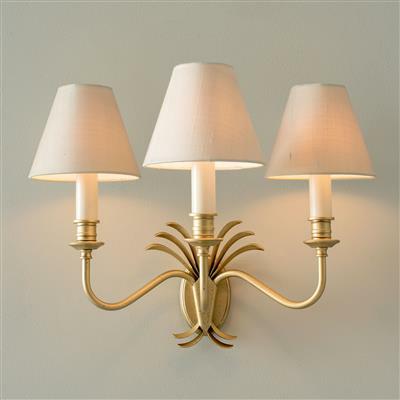 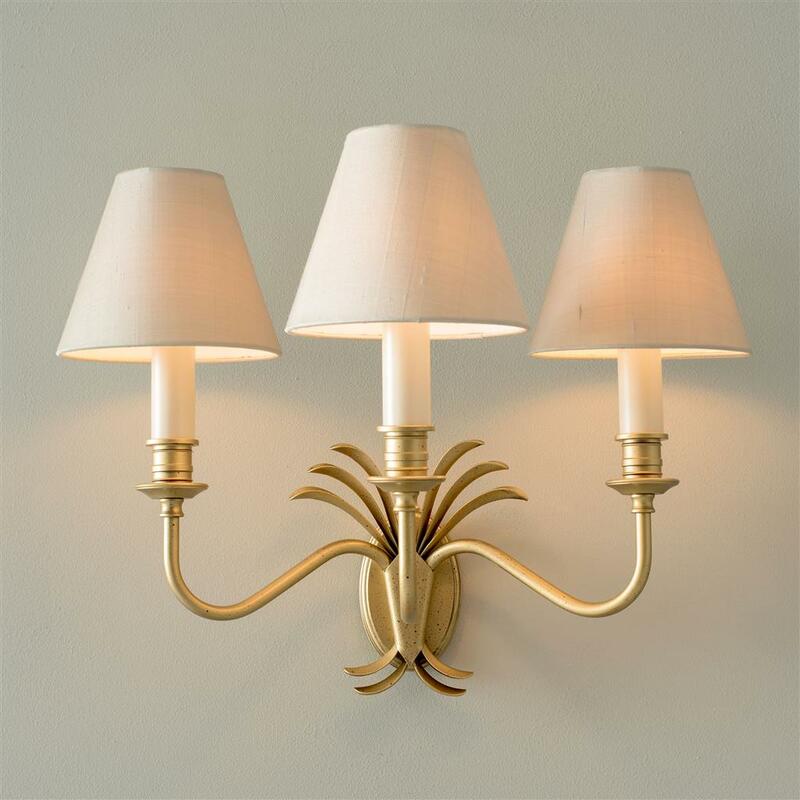 The Plantation wall light is also available as a 2 arm or single arm light.